Sleek Makeup just added three new Matte Me liquid lipstick shade in their range. I’ve Swatched (picture below) all three of them Matte Me lipsticks for your convenience. I have a serious love affair with anything orange and so the new Sleek MakeUp Matte Me Hellacious didn’t take much time to become one of my favorite. I am not sure if Sleek MakeUp upgraded their Matte Me liquid lipstick formula or not but to my surprise, these three new shade felt really comfortable on the lips comparing my previous experience with Sleek Matte Me lipsticks. 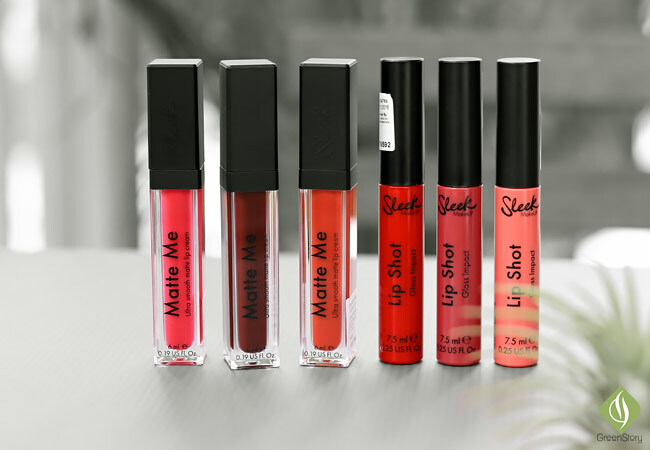 Have you tried Sleek MakeUp Matte Me lipsticks before? If yes, then you know what I’m talking about. Previously A couple of the Matte Me lipstick shade I found very that doesn’t even apply evenly. However, each of these new shade also applies evenly and feels quite lightweight on the lips. Lip Shot lip glosses are available in 8 shades. I’ve here 3 shades (Corrupted, Get Free, Behind) with me and swatches are above in the picture. These sleek lip glosses are nicely pigmented and luscious on the lips. They don’t have any added fragrance to them that I could smell. They are glosses but they aren’t heavily glossy on the lips. The finish is more on the subtle side thus they’re very much wearable even if you are not a gloss fan. Lasting power of these Sleek MakeUp Lip Shot glosses depends on the user as because they don’t stain on the lips. Sleek MakeUp is available at selected Sephora stores, Hermo, Lazada, and Zalora.